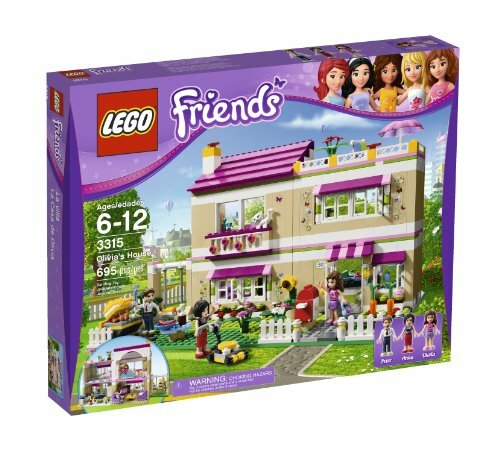 I was really impressed by the design of this Lego Friends set. The final build was smaller than I expected, but really packed a lot of cool stuff into a compact space. Heartlake High comes with science and fine arts classrooms, a cafeteria, and bathrooms, and has tons of useful accessories like art supplies, a laptop, an owl, a telescope, and more that give it good play value. 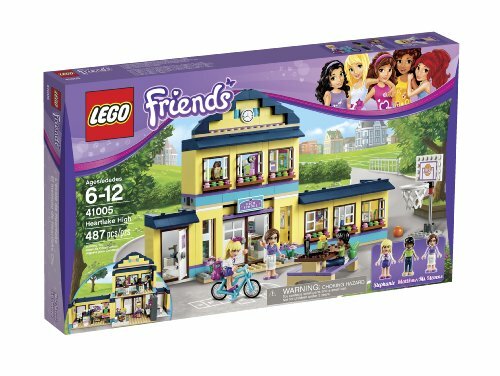 Despite this, my daughter has never shown as much interest in playing with it as she does some of her other sets, like Olivia’s House, the Summer Riding Camp, and King’s Castle. I think it may just be that she can’t relate to it yet – she’s only seven, so she certainly hasn’t been to high school and hasn’t even watched that many high school movies. I’ve been thinking about bringing it back out now that she’s read the Diary of a Wimpy Kid series – they might help her come up with more scenarios to play out in the school. Meanwhile, though, I’d probably recommend this set for slightly older girls, say 10 or 11. 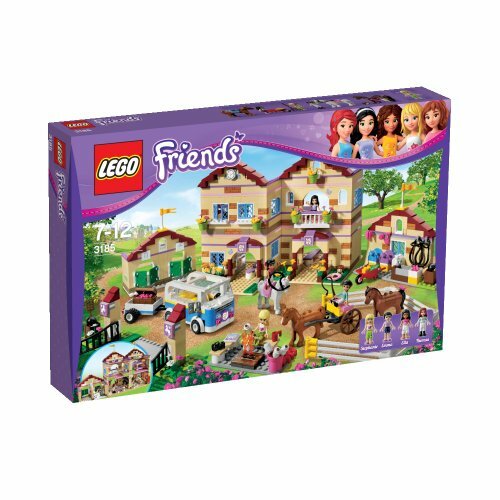 My daughter isn’t as horsey as I was as a girl, but she loves animals in general, so this set ties with Olivia’s House as her favorite Lego Friends set. Like Olivia’s House, the compact design packs in a lot of cool details and she really enjoyed both building it and playing with it. Our only complaint is that a couple of the shutters were missing in the package (and I haven’t gotten around to requesting replacements from the Lego company). Note: This set will soon be discontinued, so if you want it, now’s the time to snag it before the price goes up! Otherwise, check out Sunshine Ranch (41039) as an alternative. Update: Since we purchased it, the set has been discontinued and it is now priced as a collectible item rather than a children’s toy. 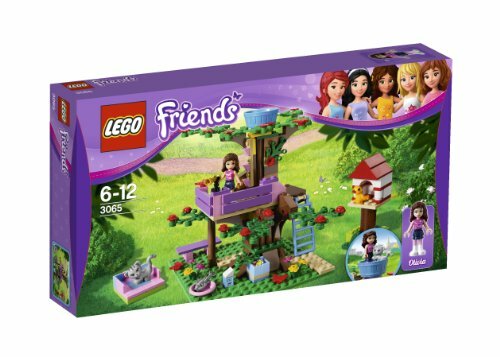 For several similar alternatives, check out the new Lego Friends jungle theme, especially Jungle Rescue Base (41038) and Jungle Tree Sanctuary (41059). My favorite of the smaller Lego Friends sets we own. It’s a little more challenging to build than, for example, the Heartlake Dog Show, and it has excellent play value. We go camping regularly (though in a tent rather than a camper) so my daughter found it very relatable and loved sending the friends off on adventures. The design of the camper itself is compact yet versatile, just like a real camper, and there’s a nice mix of accessories, such as a table and grill for cookouts, a pair of bikes for touring, and a surfboard for beach camp outs. Update: This camper set has now been discontinued and is priced as a collectible, not as a children’s toy. 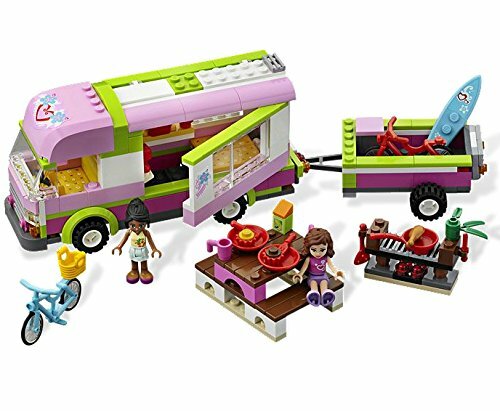 Luckily, there’s a very reasonably priced Lego City camper that gets great reviews and reportedly fits the Lego Friends minifigs. 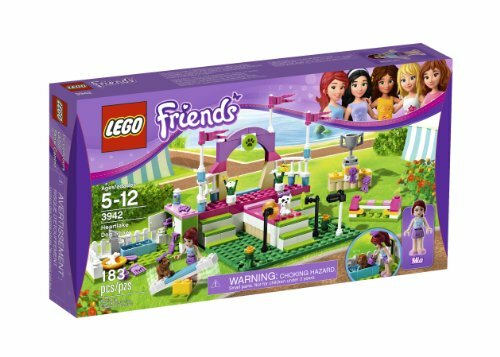 The Lego Friends theme also now offers a similar set called Summer Caravan (41034). This was the first Lego set I bought for my daughter. She’d been playing with sets owned by her cousins, as well as hand-me-downs from my own childhood, for awhile, but hadn’t done a significant amount of actual building, so I wanted to get a relatively simple set to start with, yet one with good play value. This one fit the criteria, with the additional advantage of being animal-themed and relatively inexpensive. Now that she has several larger and more diverse sets, she doesn’t play very often with the actual stage, but she still makes frequent use of the minifig, animals, and accessories, especially the see saw and jumps. Update: Since we purchased it, this set has been discontinued and is now priced as a collectible rather than a children’s toy. As an alternative, consider the Heartlake Horse Show (41057).